This is an upscale and modern house with 3100 square feet of living space on the 4th hole of the Woodlands Golf Course in Sunriver, Oregon. SHARC passes for recreation center, swimming pools, and tennis. The house has great dimension and good separation of guests with the two level design. The modern kitchen leads into an open dinning, living room area for ease of entertaining and enjoying a fire in the fire place. The living area leads to a large deck overlooking the golf course and views of Paulina Mountain Peak. This house sleeps up to ten people comfortably, 6 adults and 4 children with four bedrooms and three and a half baths. The house is newly remodeled and furnished throughout, and the front room is equipped with a large screen TV, DVD/CD and a surround sound system to enjoy music and movies. The bonus room is furnished with a profesional pool table and TV on the lower level. The lower deck has a large hot tub, two car garage, gas barbecue, and bikes are available to use on over 26 miles of paved paths in Sunriver. The house is situated in a very quiet area a short distance from tennis courts, and less than a five to ten minute walk to the the Woodlands Golf Course. The community of Sunriver boasts an average of 263 days of sunshine and less than 20 inches of percipitation annually. The community covers over 3300 acreas with a dedication to preserving the wildlife and enviroment. Sunriver offers recreation abound with convienent shopping, and restaurants also available for your enjoyment. The House sleeps up to ten people comfortable, 6 adults and 4 children and all ten guests would have beds. ** The third bedroom and the bunk bedroom have a bathroom between them. We really enjoy the many outdoor activities that sunriver and the surounding area of Central Oregon offers. Central Oregon is our favorite vacation destination. Please bring your own Beach Towels for the pool. Recommend. Great rental, owner very responsive and easy to work with! 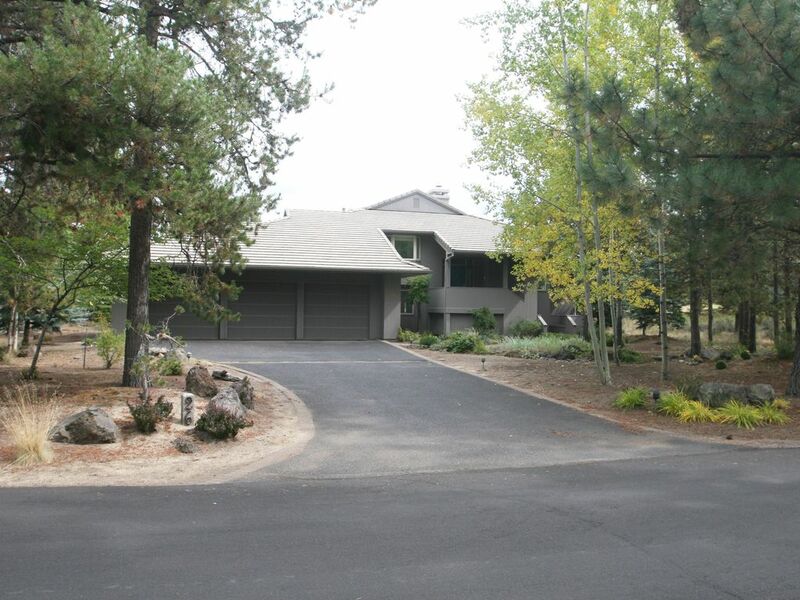 I’ve been renting in SunRiver annually for 20 some years and this is one of our best rentals! We had a wonderful stay, this well appointed house filled our every need. The house was clean and well stocked with towels and linens. Beautiful view onto golf course. Great location, hot tub and furnishings perfect! We would rent again. Glad you enjoyed your stay at 26 Winners Circle. We look forward to your next visit . went up for the eclipse, got up on Thursday and just had a wonderful time the house had all the goods and the kids had plenty of different things to do the swimming was great. Good time had by all. The eclipse was the best. We had a fantastic stay. House was beautiful ! I would definitely rent it again! An excellent overall property. The kitchen was well stocked with pots, pans and dishes. Decks and view of the golf course was very nice. Pool table, ping pong table plus lots of board games provided a choice of activities at the house. Tennis courts across the street were not heavily used and were well screened. Only disappointment was no lock on the shared bathroom. Even though there is no air conditioning there are lots of fans and excellent window coverings for day use and nights are always cool. thanks for the feed back, we have installed a lock on the shared bathroom as you suggested. We owned a home in Sunriver for ten years, but recently sold it because we moved out of state. This is the first time we have rented in 13 years. The house is gorgeous and very spacious, including the kitchen. The deck is very large and overlooks the golf course - stunning!I appreciated little things like paper products, dish and laundry soap, etc. The only thing we needed that we couldn't find was a hand mixer. The bikes were great - saved a lot on rentals. Highly recommend!!! WA/OR spring break and various holidays prices vary Rates are subject to change until confirmed $750.00 deposit due at time of booking Balance due 30 days before arrival date $750 refundable Security Deposit. Cancellation Policy; 50% refund if cancelled eight weeks before your arrival, and a 25% refund if cancelled four weeks before your arrival.